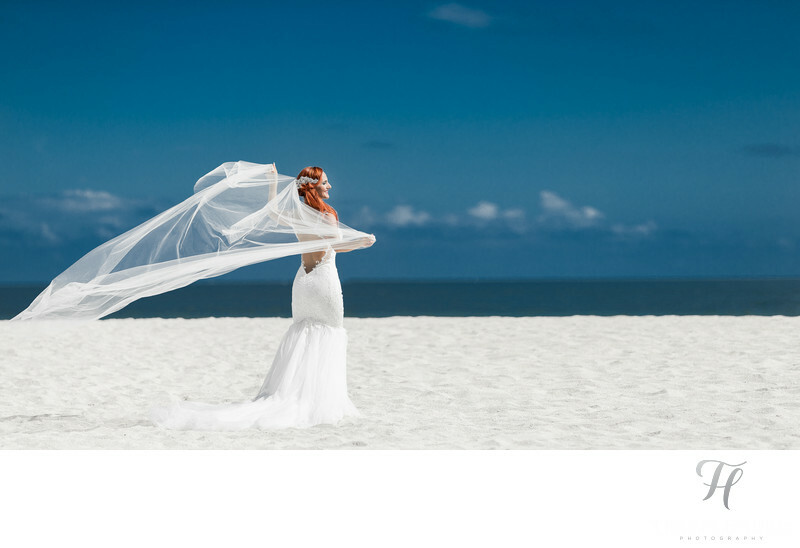 Let me come right out and say this.. and I am saying this as a Miami Beach Wedding Photographer... "Beach" weddings are not something that I would recommend. When I say beach weddings I mean the wedding is on the sand. IF your wedding is going to be on the sand, be prepared for some disappointment of some kind. TRUST ME. From stey people walking around, to airplanes towing banners, to people not wanting to take off their shoes, wind, and hairs flying.. its a nightmare every time. It's almost as if someone was afraid to tell them "psst. Beach is a bad idea for your wedding". Well, here I am.. and I'm saying it. I also know that by me saying this.. it pretty much means I won't be hired to shoot anymore beach weddings.. LOL, and that's totally fine with me. Instead.. you can do what Danielle here did.. Hire me to shoot some wedding shots AFTER the wedding day at several different locations! This makes the most sense, and allowed her to get content that would never have been possible on the wedding! We can go to the beach, downtown, etc.. and you will have FAR more creative options then what would have been possible on the wedding day itself. Then, you can mix all the images together and you will have one hell of a album! You can see all of the images from this session over here on my blog! Enjoy! Here is a little treat! You can watch me live in this very unique behind the scenes video! Here is how we got the shot!